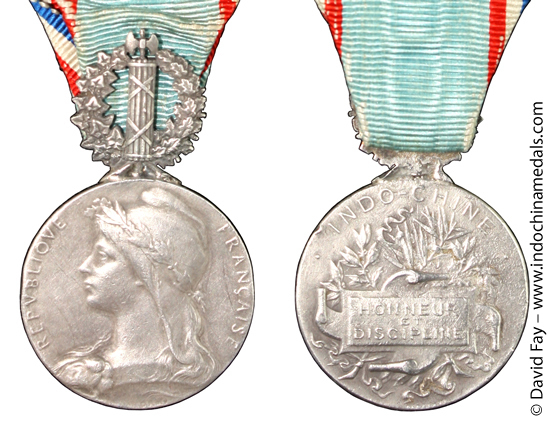 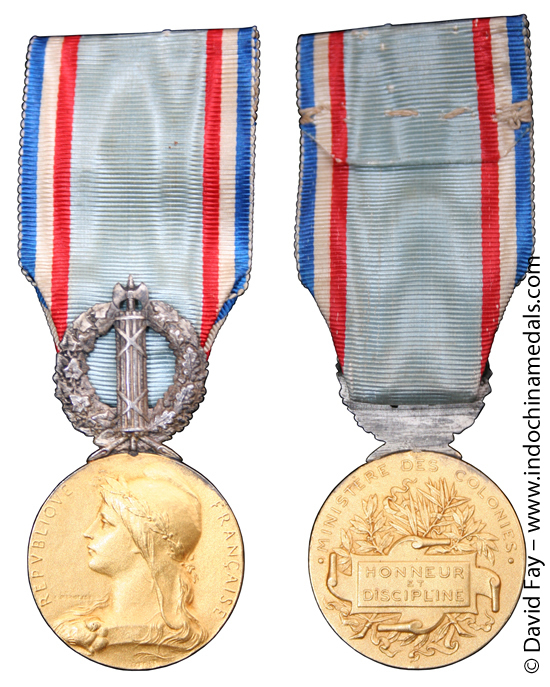 Except for the inscription INDO-CHINE, this is identical to the Medaille d'Honneur Penitentiaire Coloniale created October 27, 1898, by the Ministry of Colonies. 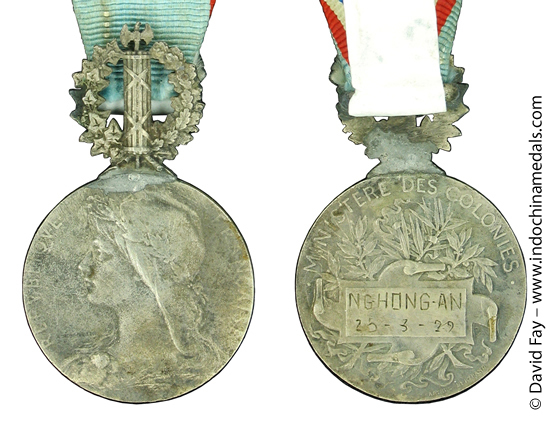 It is the standard design by Roty, the same as that for the Honor Medal of the Government General except for the suspension. 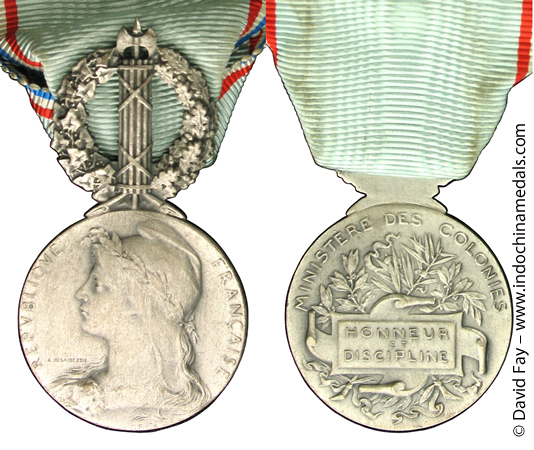 It was manufactured by Arthus Bertrand. 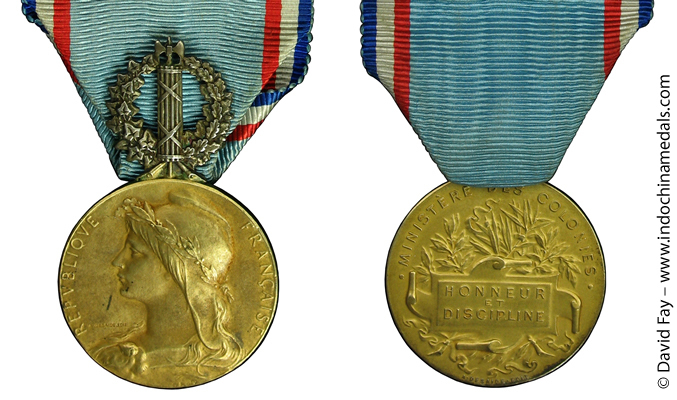 As noted earlier, possibly the Honor Medal was used with this ribbon as an expedient during the period when Indochina was cut off from the Metropole. 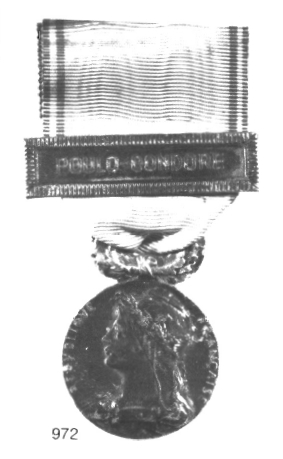 An example was shown in the catalogue for the Maison Platt auction of May 26, 1986, with an unofficial bar inscribed POULO CONDORE, undoubtedly for a warden who served at that famous island prison.